The Nickelodeon Summer miniseries continues this week with Pinky Malinky Production Assistant James Mosley! 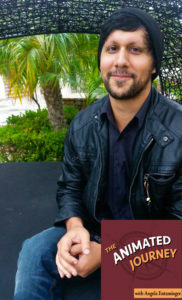 James possesses the unique distinction of having served as a NickTern, worked as a Production Assistant on two Nick shows and has created 67 independent animated shorts. Here how growing up in Michigan watching cartoons inspired him to achieve his dream of working in the animation industry!